Session 1 was held on Monday 29th May in the morning. 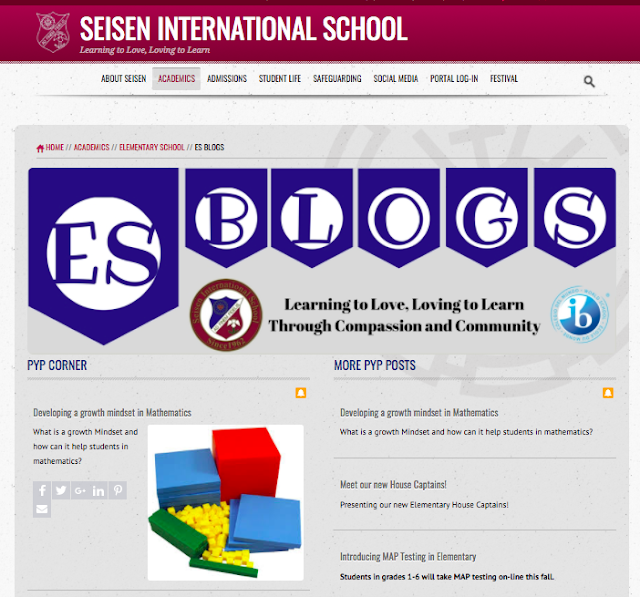 Tonight (Wednesday 31st May) we will hold the second session at 6.30pm in Ms. Naini's 6B classroom. Below is the slideshow we will be using during the meetings and you can download a copy of our Phase 4 (Grade 5 and 6) ICT curriculum outcomes by clicking here. Last Friday Grade Six students hosted the 2017 PYP Exhibition at Seisen. The evening started with some snacks (very generously provided by SPA) and a welcome address in the Cafeteria, where we were shown a short video clip of some of the preparations that had been happening the previous week. The students then invited parents and guests to the Grade Six building, where they showed off the Exhibition spaces they had created to demonstrate and celebrate the skills they had used, the knowledge and understanding they had gained, and the action they had taken over the course of their eight week independent inquiries. After having time to browse and interact with the students' exhibits, guests were then invited to listen to some of the students' oral presentations, where they were able to listen to the various talk shows, skits and interviews the students had prepared. We are very proud of all the hard work the students have put in over the past eight weeks to enable them to share these in-depth inquiries and wonderful finished products. Thank you to all of the families who were able to come and support us on this special night! Here is the third and final batch of surveys from the Exhibition students. We would really appreciate five to ten minutes of your time to help the girls out and give them your perspectives on their chosen issues. They're all excited to analyse the data. Please feel free to forward and share (facebook, twitter, etc.) as the more responses they get, the better. Students have been reflecting on the Easter Story and Holy Week during their religion classes this week. They have been learning about the events of Holy Week and the significance of these events to Christians. Students in grade 4 connected their learning to their current unit of inquiry - Expression Through The Arts. They looked at various symbols and tried to connect them to significant events from the Easter Story. 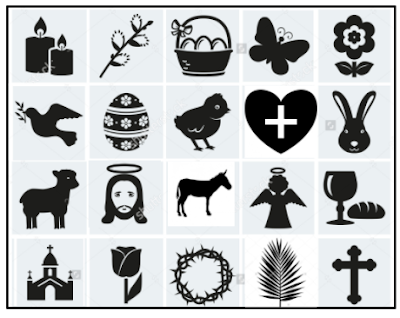 Have a look at the symbols below and see if you can connect each one to the true meaning of Easter. How are these symbols connected to the Easter Story? Thank you to all the Room Parent Coordinators, Room Parents and volunteers who took time out of their schedules to organise the class Easter parties. This involved decorating rooms, organising games and crafts for the students, as well as providing delicious Easter treats. Here is another set of surveys from our Grade Six Exhibition students! Please click on the links, below, to complete some short surveys. Our students want to gather data from different gender and age groups to enable them to slice and analyse the data so they can interpret the data and use it later to guide their action so please feel free to forward these survey links to family and friends! All surveys are anonymous and your email address will not be collected. 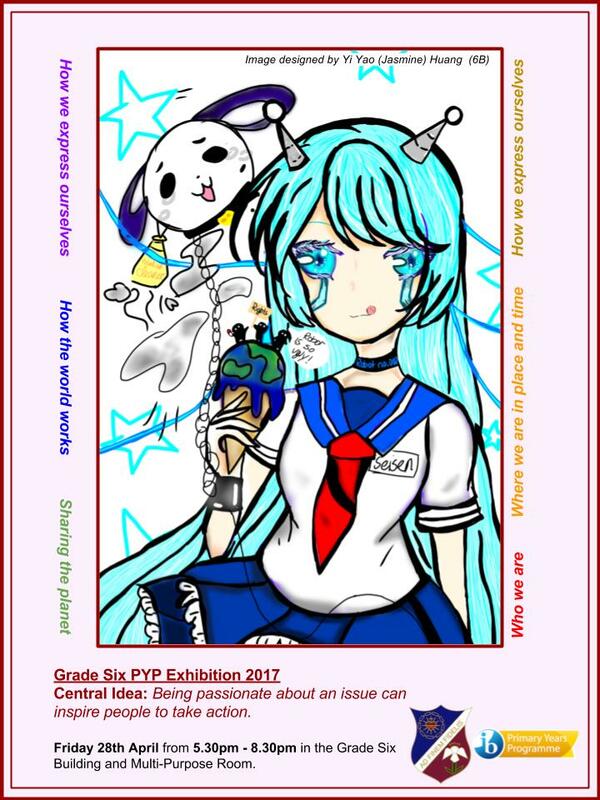 Read more about our PYP Exhibition journey by visiting our Official Exhibition Site here. 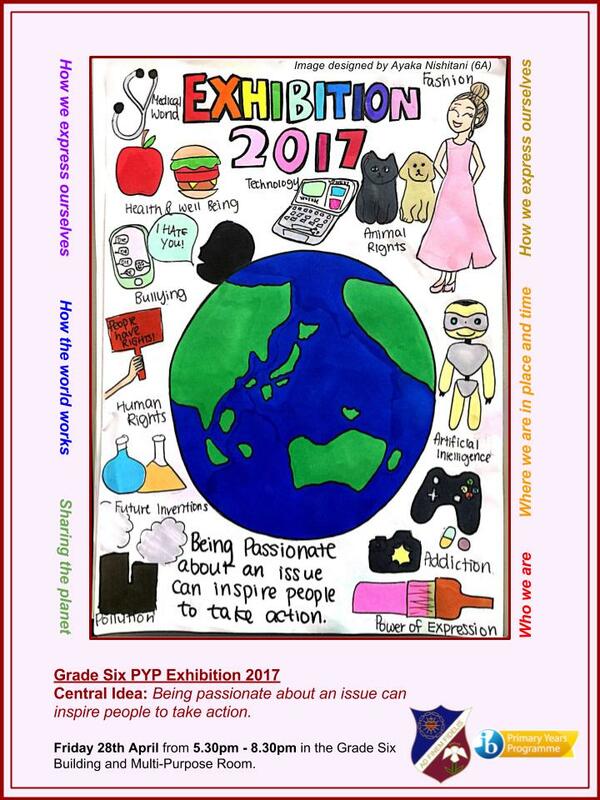 As part of the Grade 6 Exhibition process, students are collecting and interpreting data on the perspectives of their chosen topics. We would appreciate if you could spend five minutes filling out these short surveys to enable our students to collect as much data as possible. Please feel free to forward these survey links to family and friends as the groups would like to gather as much data as possible.